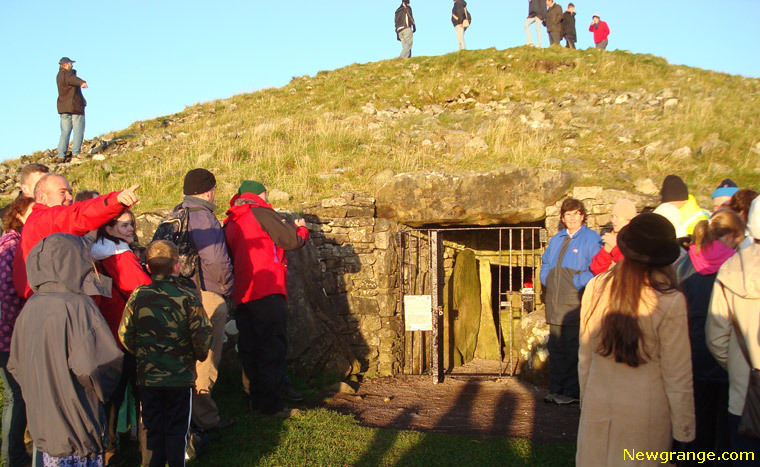 Staff from the OPW (Office of Public Works) were in attendance at Cairn T, Loughcrew on the morning Sunday the 20th of September. 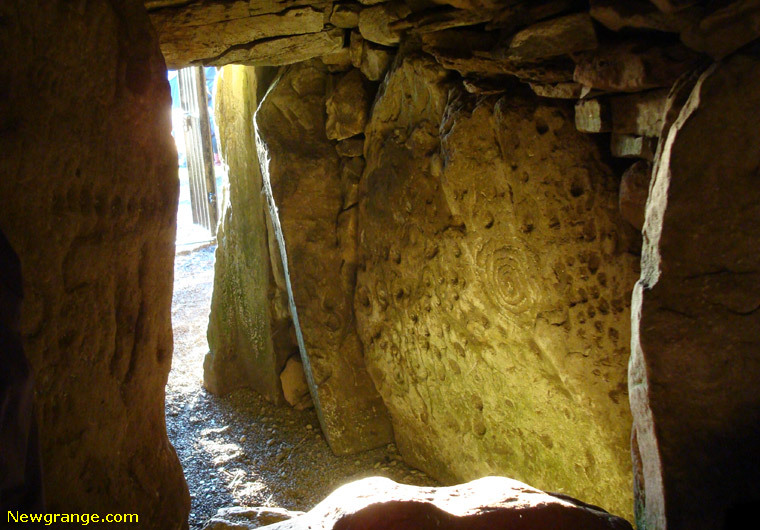 All those who made the effort to get up early on a Sunday morning were rewarded by a glorious sunrise that illuminated the backstone inside the chamber of Cairn T. Clare and Leontia arranged an orderly queue both sides of the entrance and allowed groups of 5 or 6 to enter from alternative sides. The atmosphere was friendly and relaxed and everybody got to spend time in the chamber and witness first hand the illumination of the backstone. Staff from the OPW will be at Cairn T on Monday the 21st September and Tuesday the 22nd September from 7.15am until 8.30am. 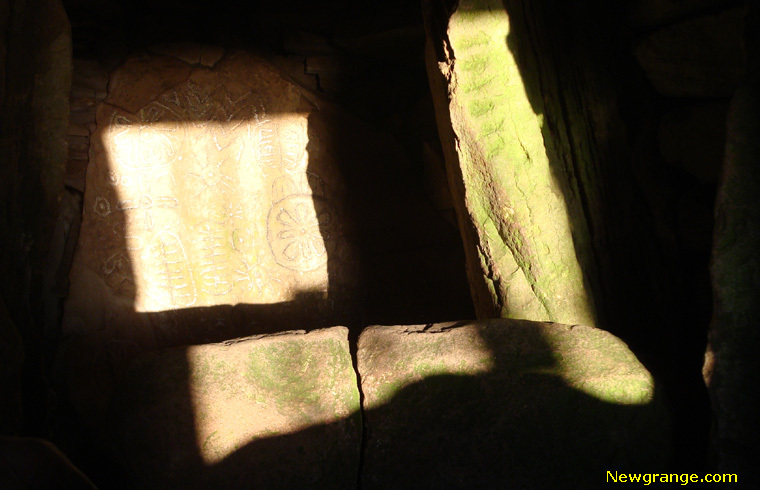 The progress of the sunbeam on the backstone inside Cairn T at Loughcrew was video recorded at sunrise on the morning of March 23rd 2005. The 50 minute video has been compressed to 1 minute 46 seconds and included in the following YouTube Video.